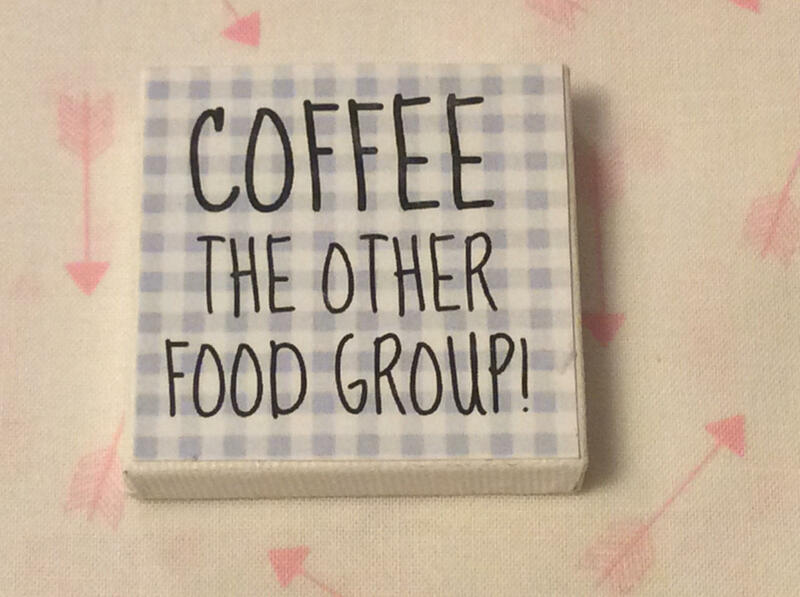 Coffee canvas Kitchen Art 2" x 2"
My husband and I laugh that eating from the main food group is optional but coffee is a necessity! That was the inspiration for making this little sign. Words are printed on a light blue and white check background. Art is created first and then adhered to little canvases. My love for words and signs comes from my grandfather who was a printer. 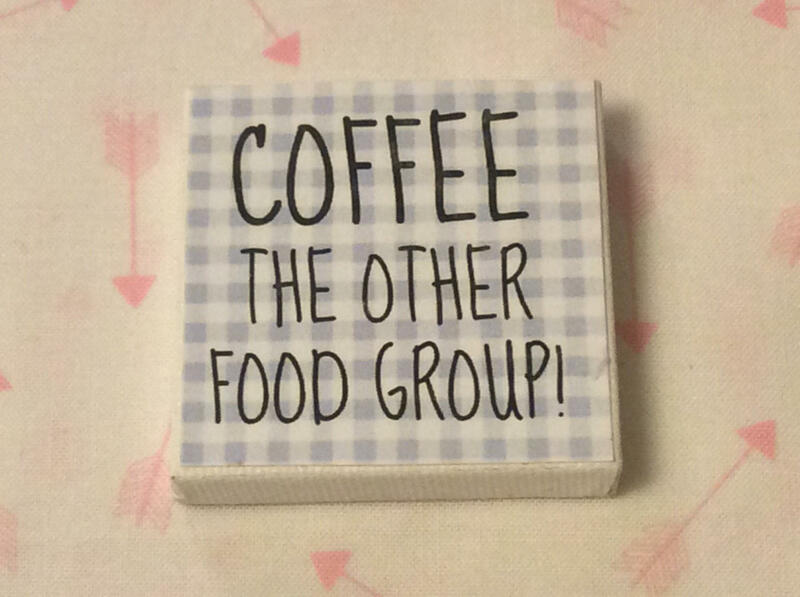 I love to place little signs peeking out on shelves intermingled with my decor! When I walk by and see a happy phrase it brings a smile to my face. Canvas is 2" x 2".